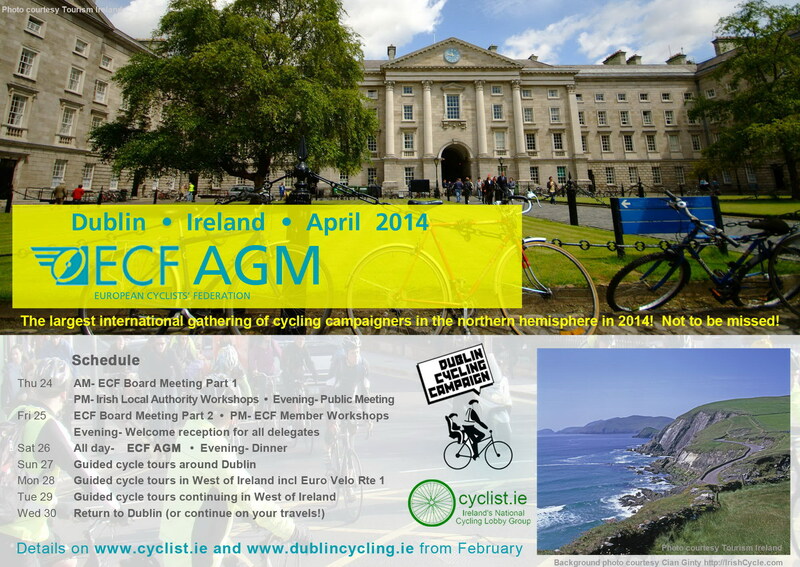 This will be largest international gathering of cycling advocates in Europe in 2014 and we are really looking forward to welcoming campaigners from over 44 countries to Ireland. The series of events, spread over several days, will give a real boost to Irish cycle campaigning as the Europeans bring their cycling expertise and campaigning experiences to Ireland. Equally, we hope to offer all delegates a chance to see what is happening here in terms of demarginalising the bicycle in transport thinking and practice. 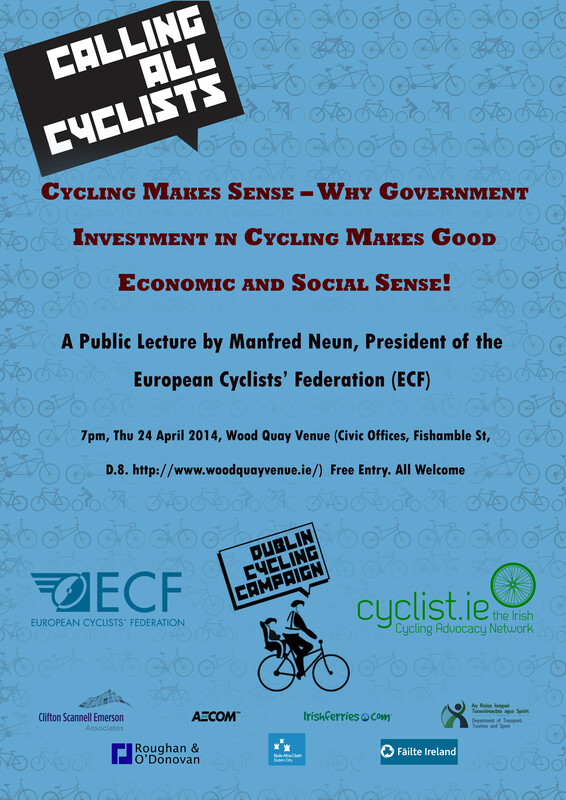 Ultimately, the events will provide lots of lovely opportunities for Irish campaigners to mix and mingle with their Continental counterparts and to forge stronger connections with the wider, mushrooming, international cycling advocacy movement. An outline of scheduled events is shown on the poster here. In January, we’ll have full details (including costs) available for delegates travelling to Dublin – as well as information on events for local campaigners. This will include a public lecture to be given by one of our ECF experts/guests in the Wood Quay Venue (www.woodquayvenue.ie) on Thursday evening 24th April. If any one of our members/fans would like to join the working group / committee that is beavering away behind the scenes, just a line to info@dublincycling.ie All offers of help gratefully received, especially if you are adept in the realm of event organising!